We’re celebrating NCSM and NCTM week with a giveaway every educator can enter to win, whether they are participating in the conferences in person in San Antonio, or following along from home. What better way to celebrate one of the biggest math professional learning events of the year than to plan ahead for more quality professional learning? This summer our Math Solutions Professional Learning Institute will be in Lafayette Hill, Pennsylvania (near Philadelphia), and will feature an engaging roster of speakers and Math Solutions experts. 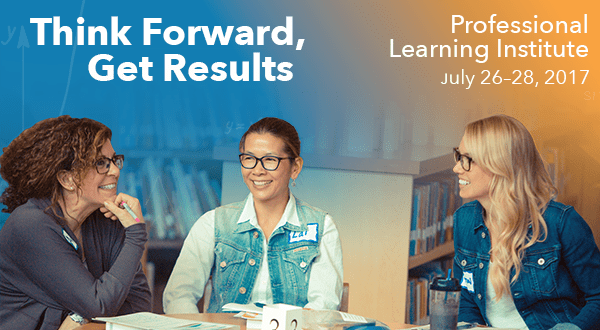 In this relevant and engaging three-day professional learning institute, participants will deepen their math content knowledge while learning how to develop students’ abilities to think and reason. Focusing on effective instructional strategies, including Number Talks, educators will leave the institute with tools to plan and be prepared for math achievement in the 2017–2018 school year. Keynote speaker, Cathy Seeley, will engage participants in a discussion regarding giving students time and opportunity to struggle constructively with complex problems—which are often interesting and engaging—and increases their motivation. Teachers and students can learn that in-depth analysis and critical thinking are as valuable as quick recall and direct skill application. We’re giving away one FREE registration to the Professional Learning Institute. To enter, simply fill out the raffle form below. The raffle will end Monday, April 17th at 12:00 AM PT. One winner will be selected randomly and notified on Tuesday, April 18th. irfare and hotel not included.